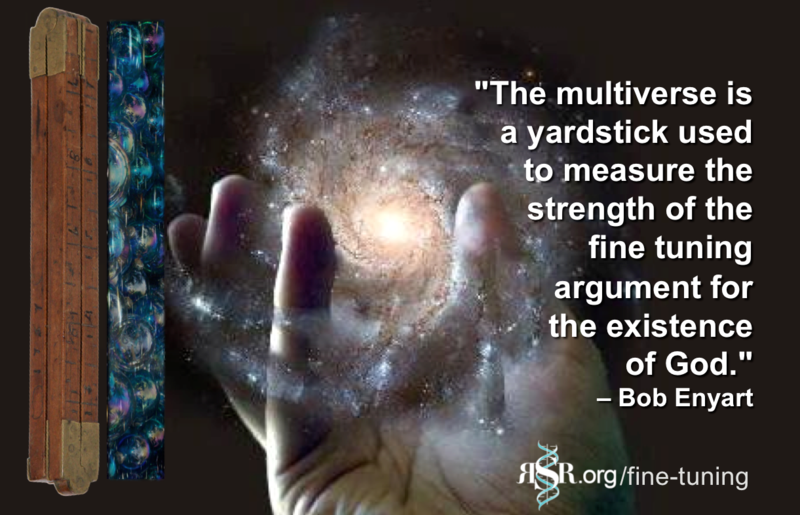 * The Big Bang and its Irrational Stepchildren, A Multiverse and Boltzmann Brains: "The multiverse is a measurement tool," said Real Science Radio host Bob Enyart. "The multiverse is a yardstick used to measure the strength of the fine tuning argument for God. It's acceptance measures atheist desperation." See our article, RSR on the Multiverse, just below. On today's program Enyart discusses the big problems with the big bang interviewing Spike Psarris, an electrical engineer formerly with the U.S. Military Space Program and currently, the producer of a fabulous video series, What You Aren't Being Told About Astronomy. In Part 2 of this interview, Bob and Spike discuss an absurd logical conclusion of the big bang's multiverse, namely, Boltzmann Brains. 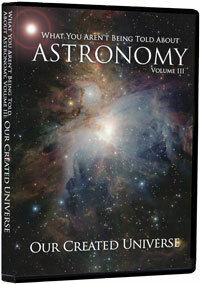 Get a Real Astronomy Resource: Just browse the science department at our KGOV Store! * Miss Universe vs. Miss Multiverse: "Nothing in astronomy makes sense except in the light of the multiverse, which itself doesn't make sense," said Bob Enyart about secular cosmology paraphrasing Theodosius Dobzhansky. So beauty lies in the eyes so be older. * Multiverse vs. God: A decade before our Krauss interview, Stephen Hawking associate and cosmologist George Ellis wrote with co-authors in the Monthly Notices of the Royal Astronomical Society, "The idea of a multiverse -- an ensemble of universes -- has received increasing attention in cosmology... as an explanation for why our universe appears to be fine-tuned for life and consciousness." And nearly three decades ago, back in 1985, the consummate astronomer, British cosmologist Ed Harrison, wrote, "Here is the cosmological proof of the existence of God – the design argument of Paley – updated and refurbished. The fine-tuning of the universe provides prima facie evidence of deistic design. Take your choice: blind chance that requires multitudes of universes or design that requires only one... Many scientists, when they admit their views, incline toward the teleological or design argument." Now fast forward to this year when biologist and fellow of both Cambridge University and of the Royal Society, Rupert Sheldrake, wrote, "To avoid a creator God emerging in a new guise, most leading cosmologists prefer to believe that our universe is one of a vast, and perhaps infinite, number of parallel universes..." So beginning at 9 minutes into today's broadcast Enyart asserted to Krauss that he and other atheists readily accept the notions of trillions upon trillions of universes assuming this gives them a possible explanation for the wildly unlikely finely tuned parameters (rsr.org/fine-tuning) of our universe. At 13:42 in, Krauss denied this. Enyart says, "The reason that so many astrophysicists, cosmologists, have gone to asserting the multiverse, that there are trillions upon trillions of universes, is because they say ours is such that, it is so wildly unlikely, there's no good reason for it to be here, unless there were septillions." Krauss "No, that's not the reason; no, no, that's not the case." This prompted Enyart to state, "Let me object, for the record..." And in denying that he had ever heard of the multiverse proposed solution as an answer for the fine-tuning problem, he then claimed that the multiverse is posited only because of string theory, and though he himself rejects string theory, yet he then claimed that there might indeed be an infinite number of universes. What a web we weave. Famed cosmologists John Barrow & Frank Tipler, on the back cover of their standard treatment, The Anthropic Cosmological Principle, "Could there be other universes? How large is the range of conceivable universes that can give rise to living observers?" On page 6 they write, "we are tempted to make statements of comparative reference regarding the properties of our observable Universe with respect to the alternative universes we can imagine possessing difference values [for] their fundamental constraints. But there is only one Universe [no? ]; where do we find the other possible universes against which to compare our own in order to decide how fortunate it is that all these remarkable coincidences that are necessary for our own evolution actually exist?" See more RSR multiverse excerpts from this text, by cosmologists whom Lawrence Krauss knows very well. - Statistician and codger William Briggs noted last year that Krauss himself proposes multiple universes to explain ours. On RSR, Krauss even stated that there might be infinite universes (which of course could include millions of universes wherein Lawrence was married to Hillary and elected president as Bill Krauss; millions of others wherein he was Chelsea's brother; and in all of which, atheists spend far too much time thinking about the Physics of Lost in Space). Krauss and his associates were slow to the table though on the multiverse, which was not as supposed invented by physicist Hugh Everett, but a year earlier in 1956 by DC Comics. Thus the dislike of God is so unquestioned and intense among secular scientists that it motivated the initial proposal (though absurd) of parallel universes. Or, in the slightly veiled terminology of Max Tegmark: "Going from our universe to the Level I multiverse eliminates the need to specify initial conditions." Exactly. * Stephen Hawking's Grand Scheme: The greatest "rescue device" of all time, a multiverse, is both a measure of the desperation of materialists and an admission of the power of the fine-tuning argument for God's existence. Yet in his misnamed Grand Design denial of the Designer, theoretical physicist Hawking offers the multiverse as his best explanation for where we all came from. In the chapters Choosing our Universe and The Apparent Miracle the authors offer the (irrational) multiverse as their alternative to the "old way" of crediting God with His creation. Imagine you can play God and fiddle with the settings of the great cosmic machine. Turn this knob and make electrons a bit heavier; twiddle that one and make gravitation a trifle weaker. What would be the effect? ...there wouldn't be anyone around to see the result, because the existence of life depends rather critically on the actual settings that Mother Nature selected. Scientists have long puzzled over this rather contrived state of affairs. Why is nature so ingeniously, one might even say suspiciously, friendly to life? What do the laws of physics care about life and consciousness that they should conspire to make a hospitable universe? It's almost as if a Grand Designer had it all figured out. 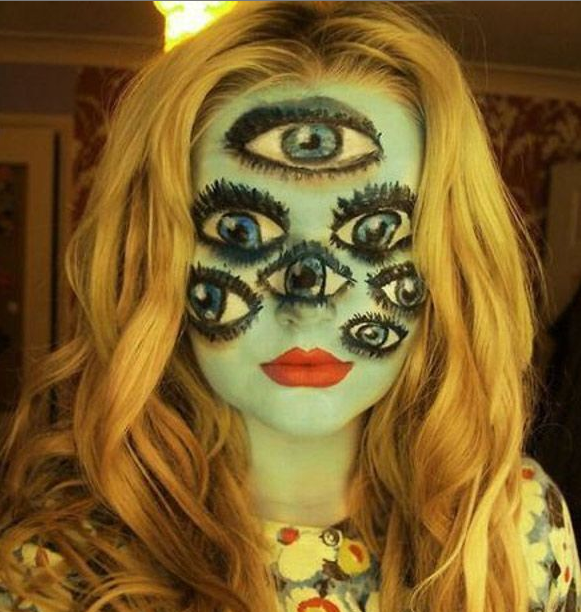 The fashionable scientific response to this cosmic conundrum is to invoke the so-called multiverse theory. - Nov. 29, Saturday: RSR's Global Flood Seminar by Bob Enyart at Denver's historic Brown Palace, 9 a.m. - 4 p.m.